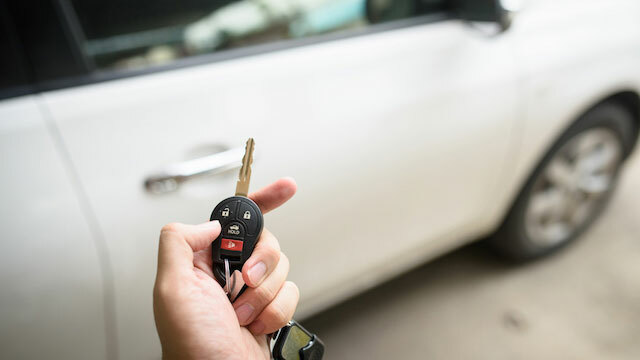 Chances are, you’ve written a big fat check to Enterprise for a rental car, but now it’s time to turn the tables. Enterprise Holdings, the parent company of Enterprise Rent-A-Car, Alamo Rent-A-Car and National Car Rental, is hiring several work-from-home customer service and reservation sales representative positions. But first, I have to note that these positions are only currently available in a handful of states: Arizona, Idaho, Illinois, Missouri, Nevada, Oklahoma and Tennessee. What Does a Representative for Enterprise Do? Customer service representatives and reservation sales representatives have similar responsibilities. You’ll be in your home, which is awesome, but you shouldn’t settle in and get comfy because Enterprise says you’ll be given repetitive work tasks on your assigned shift. You also can’t simply decide to sleep in one day — attendance and punctuality is key. In order to succeed, you need to familiarize yourself with all things Enterprise. However, you can do this during the five weeks of training (Monday to Friday, 9 a.m. to 5:30 p.m. CST). Speaking of pay, it starts at $12.50/hour — plus the opportunity to earn commission based on performance. Enterprise also has some awesome benefits, so make sure to ask about them. Your 40-hour schedule depends on need and could require you to work morning, afternoon and even evening start times. You’ll also will give up some weekends (unless there’s a religious holiday). Are You Qualified to Work for Enterprise? You must be authorized to work in the U.S. and be at least 18 years old. You also need some experience: at least one year in the customer service industry. For the reservation sales rep, you need only six months of experience in customer service OR sales. For both jobs no crazy technical skills are necessary. You should just be able to “toggle between different computer screens and programs,” the listing states. However, there are computer requirements, like no Macs, headset with microphone needed and internet access provided by a cable required. For more required numbers and acronyms — like mbps — read the job listing closely. Find more work-from-home job opportunities on The Penny Hoarder’s Facebook Job page!